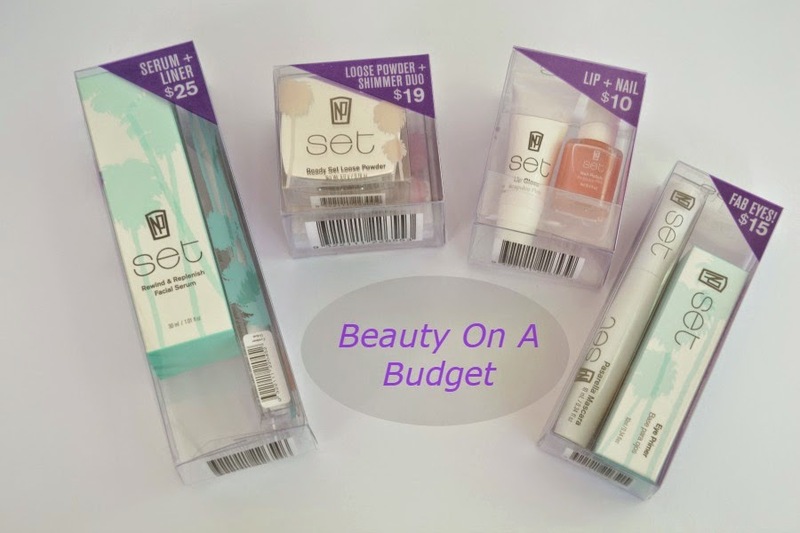 When you're on a budget, it can be difficult to get good products at an affordable price. Here enters NP Set by Napoleon Perdis. NP Set is like Napoleon's little sister. It still has great quality, but at a smaller price tag. This month they released 4 of these fantastic duo packs which range from $10-$25. You'll need to get in quick before they sell out as these make great, inexpensive Christmas gifts.... yes, I just used the "C" word!! 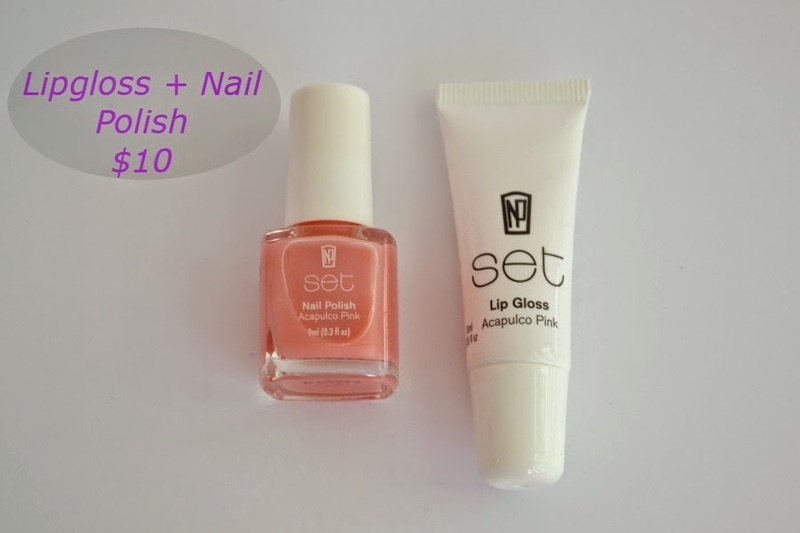 The least expensive pack (it's only $10) is this lipgloss and nail polish set. The nail polish is a gorgeous pastel pink that's fantastic for spring. The lipgloss is a very sheer, but glossy, light pink colour. It feels so moisturising and lasts for about 2 or so hours before I need to reapply it. I couldn't find these on the NP website individually. I was really excited to see this pack as it has an eye primer in it. 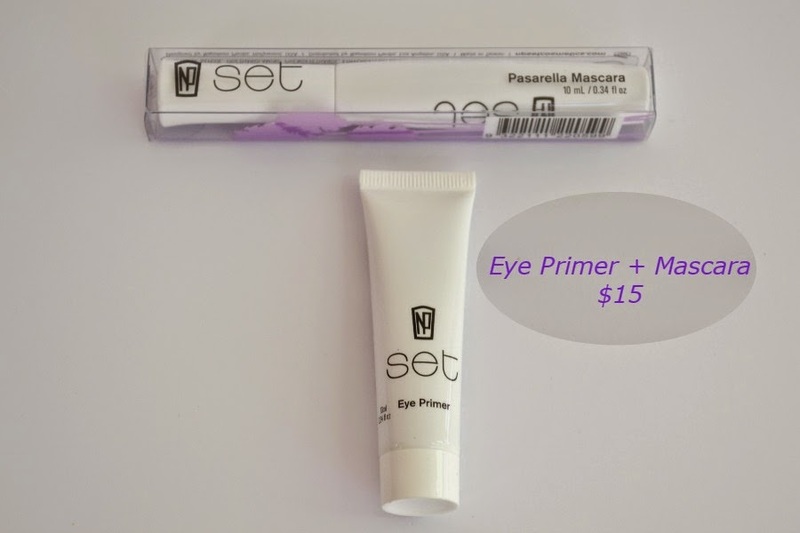 An affordable eye primer (that actually works) is hard to find. It also comes with a mascara. For only $15, it's fantastic value. If you were to buy these individually it would be $39.00. 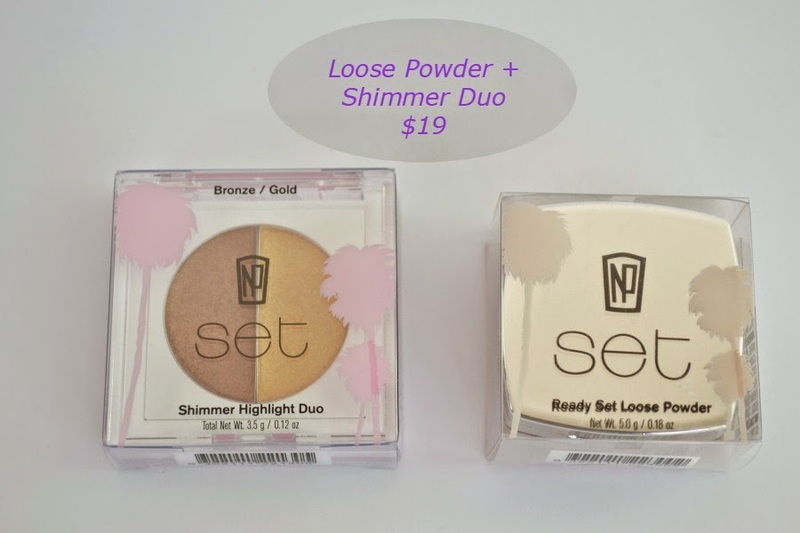 This setting powder and highlighter duo is my favourite out of all the packs. While the Shimmer Highlight Duo is meant for your cheeks, I've been OBSESSED with it as a cream eyeshadow. I apply a brown/taupe colour first and then I use my Rae Morris Creme Shadow Shader (brush 8.5) to apply the cream highlighter. I love how the highlighter gives a plain, matte eyeshadow some sparkle. I'm hoping to do some swatches later this week of this over some shadows so I can show you how gorgeous it looks. I already own the other shimmer Highlight Duo that's in "Peach/Pink" and now am tempted to try it over some eyeshadows. If you were to buy these individually it would be $53.00. This is the most expensive pack and it's only $25 for a serum and eyeliner. I've previously used the eyeliner in brown and it's soooo soft. I actually used it as a brow product because I found it soft and easy to use. 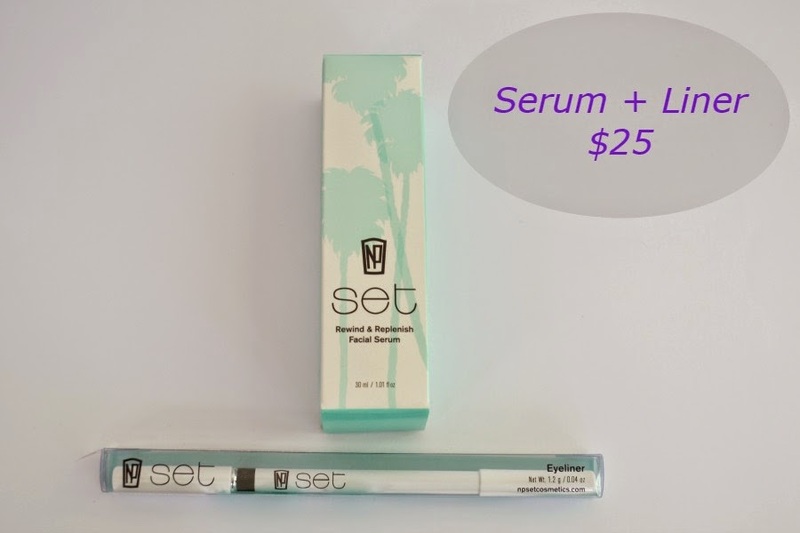 I haven't used the NP Set serum before. I think one pack which would have made a great addition to the set is a lipstick and lipliner pack. You can purchase NP Set online here or find your local stockist here. Which is your favourite pack? Have you started buying Xmas pressies yet? Wow so affordable!! And yes 'christmas' is definitely a scary/exciting thought, this year has gone so fast!